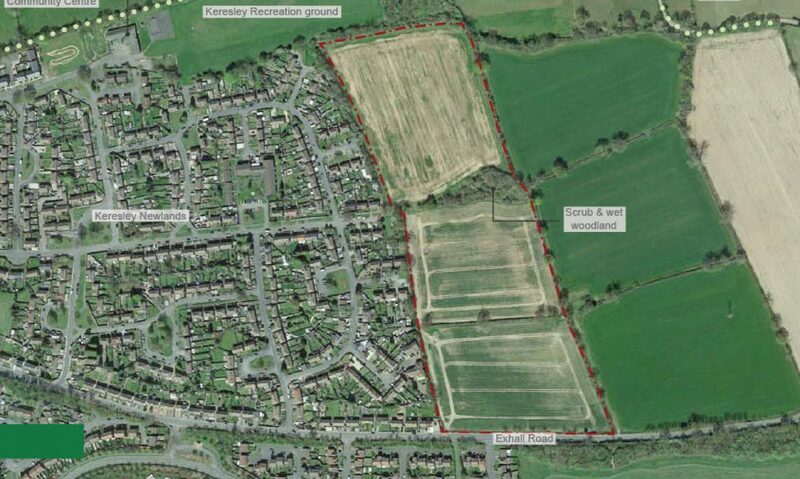 The site is located on land off Exhall Road, adjoining the eastern extents of Keresley, within Nuneaton and Bedworth Borough. 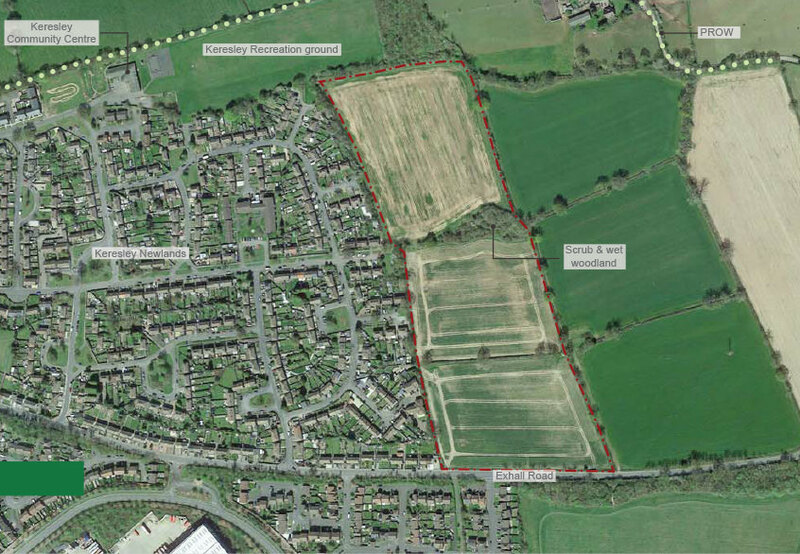 The site comprises three agricultural fields and a relatively small area of scrub and wet woodland. 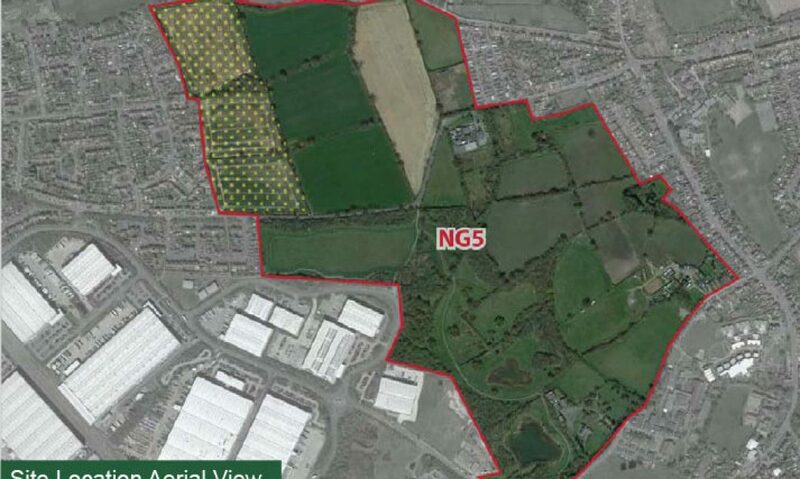 The site amounts to an area of approximately 9.4 hectares. 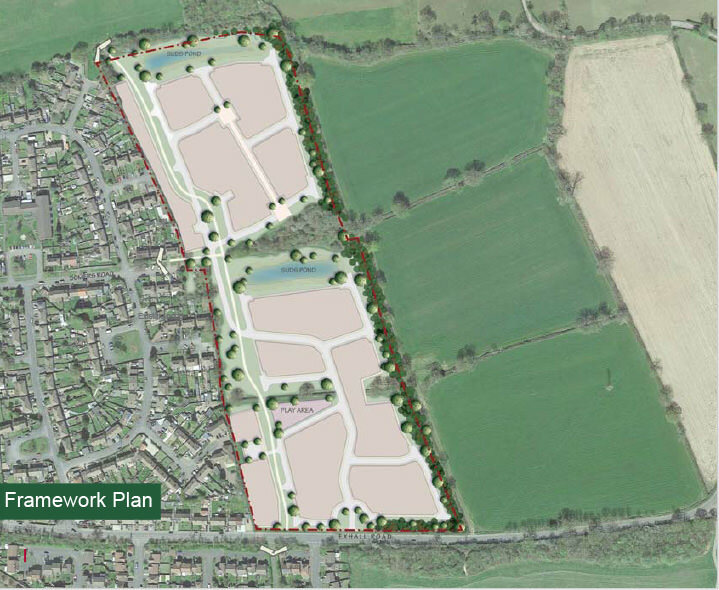 Greenlight Developments considers that the development of this site would provide a range of attractive, good quality homes. 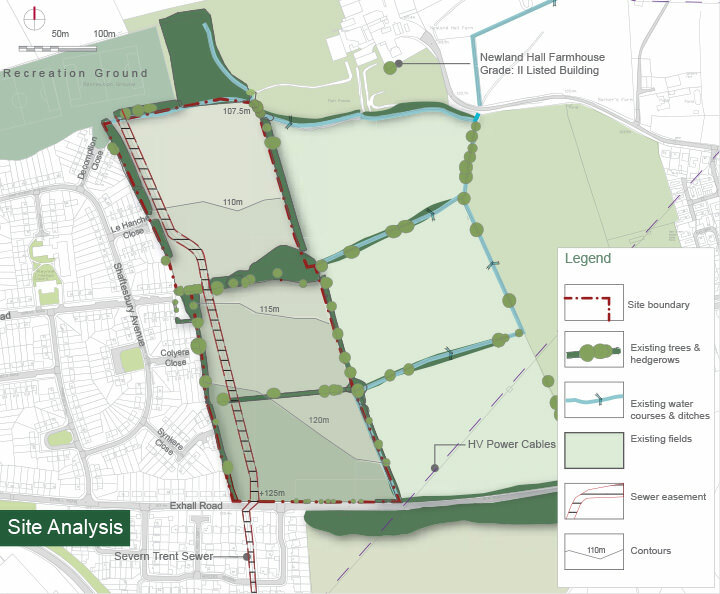 The development would be sensitively designed, responding positively to the intrinsic qualities of the site and the wider area, including its location in the Green Belt. 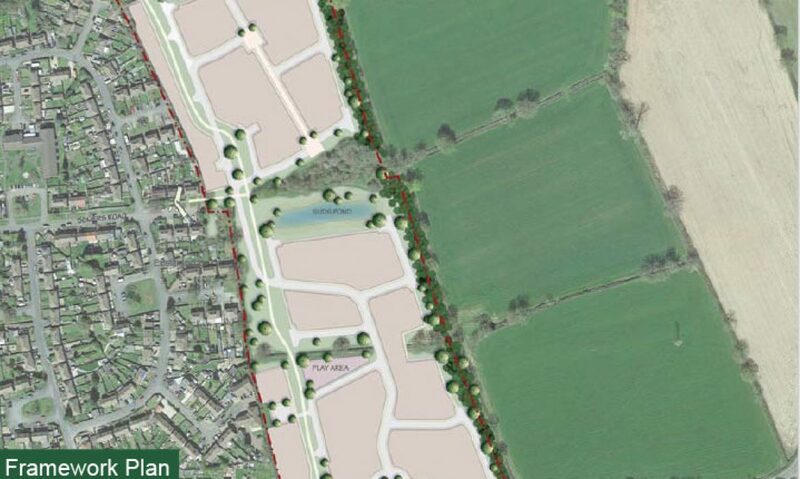 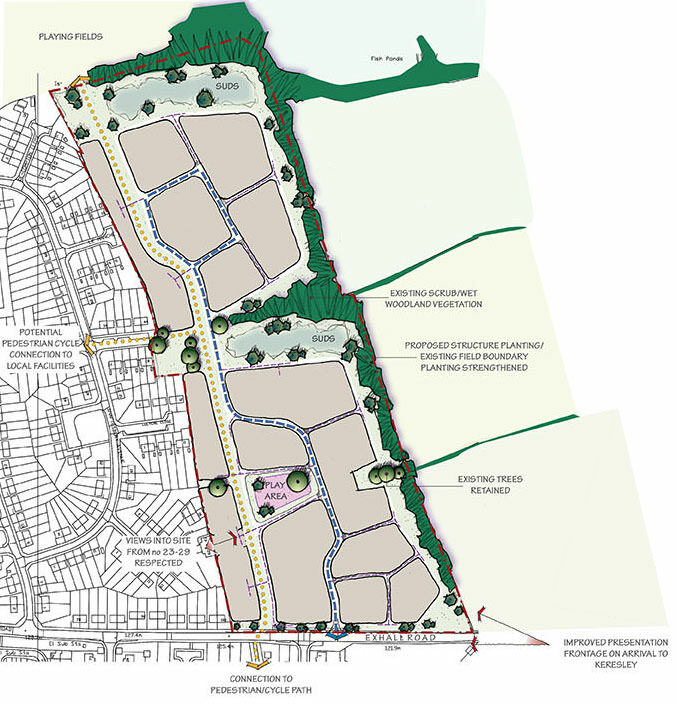 It is envisaged that the site would provide approximately 200 dwellings. 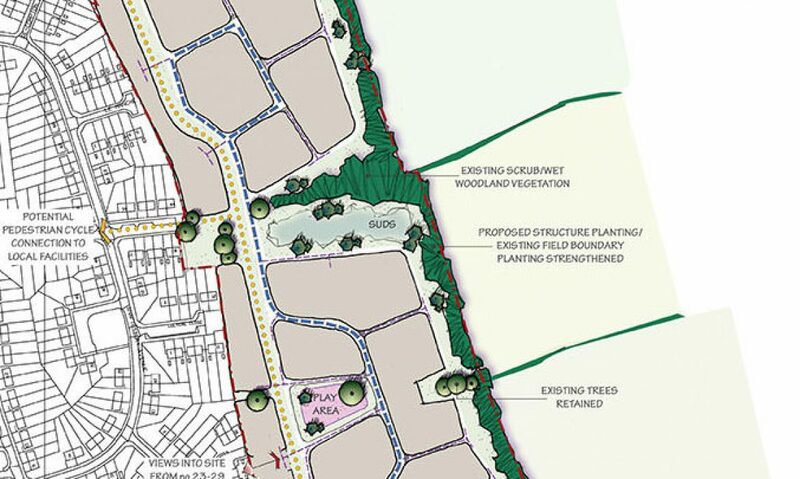 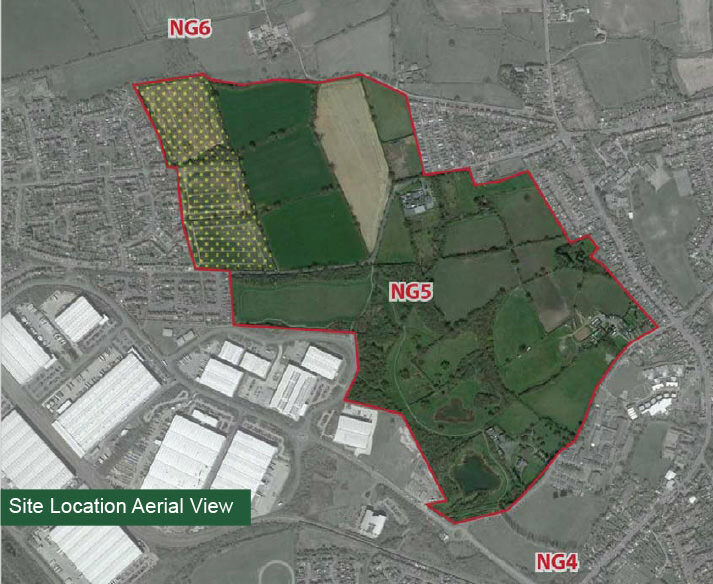 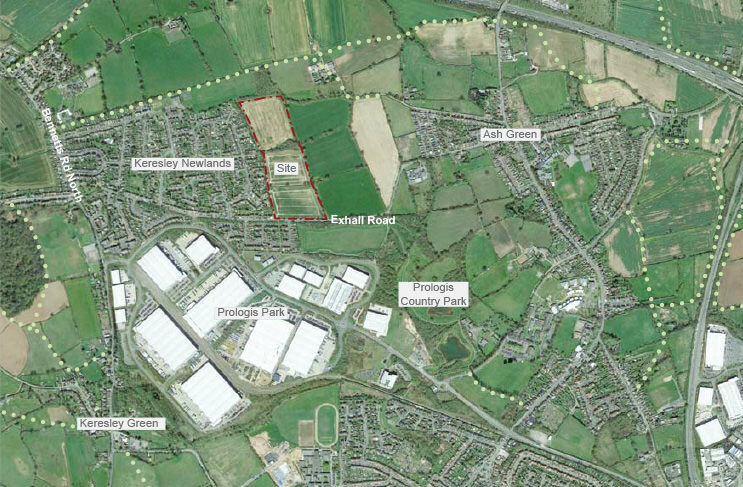 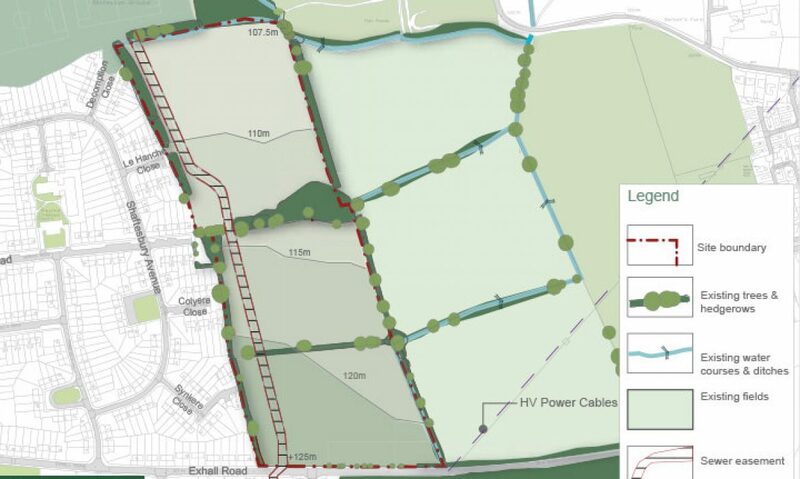 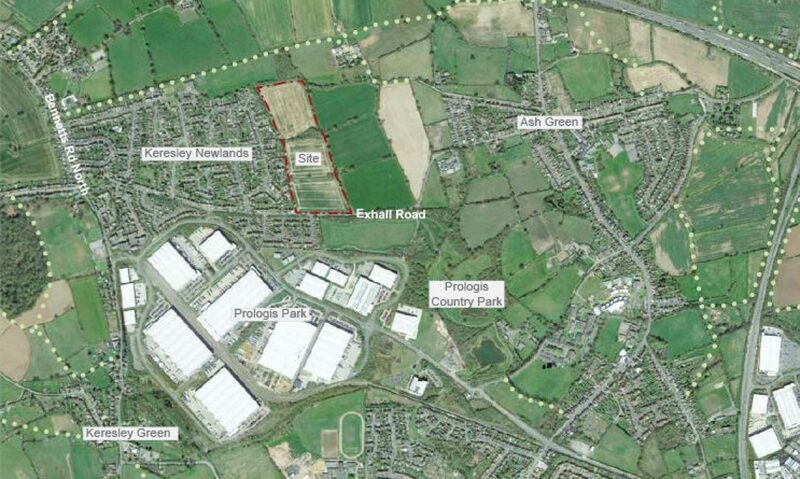 Greenlight Developments are promoting the inclusion of the land for residential development in the emerging Nuneaton and Bedworth Borough Plan.